Showbiz is a world of changing dynamics and fleeting relationships. While everyone does feel insecure about their position amongst competitors, there are certain stars who manage to form a special bond and share a great rapport with their peers. 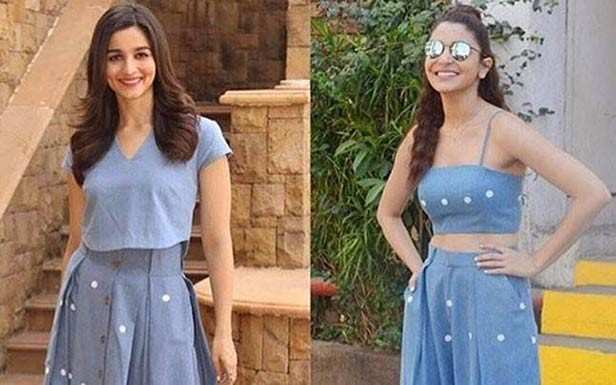 Alia Bhatt and Anushka Sharma seem to be the new BFFs in town. Alia, who is currently busy with the promotions of her upcoming project Gully Boy, recently was all praise for Mrs Kohli during a visit to a leading radio station. Directed by Zoya Akhtar, Gully Boy is inspired by rappers like Divine and Naezy, who started off from the streets to make it to the top. The film is all set to release on February 14, 2019.